You know what is awesome? Pizza. It’s good hot, it’s good cold, it’s good at night and it’s good in the morning. Because it’s so good, there are a multitude of pizza providers and options for when the craving hits. 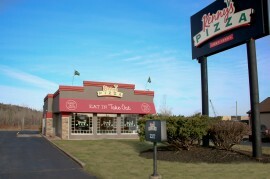 Kenny’s Pizza first opened it’s doors in Cape Breton in 1989 and has since grown to 11 locations throughout the province. 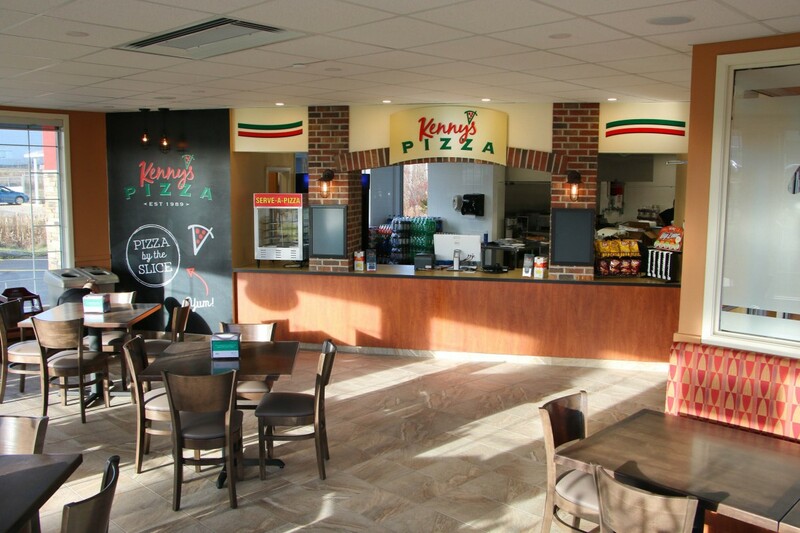 Kenny’s is a family-owned restaurant serving up gourmet pizza and a variety of other delectable dishes including sandwiches, subs, wings, donairs and more. 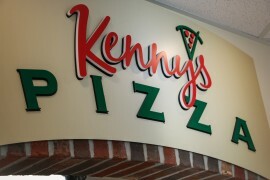 We’ve been providing signage solutions to Kenny’s since they started their growth strategy in 2009. Their branding is really fun to work with and they’re always providing us with exciting new challenges. Earlier this year, we found out that Kenny’s was taking over a former KFC location in Sydney – this meant we needed to help adapt that location to make it their new home! This is not as easy as you may think...most restaurant buildings are purpose-built for their occupant, and even after they leave, the ‘feel’ can retain the look of the original restaurant. Well…Kenny’s certainly got over that hurdle and transformed it into a stunning new location. On the exterior, we fabricated two 7’x15’ custom pylon faces, each includes a black aluminum backer supporting a NY style logo. That same illuminated logo adorns the front of their building, and below that is a 34’ red awning with custom vinyl graphics applied. 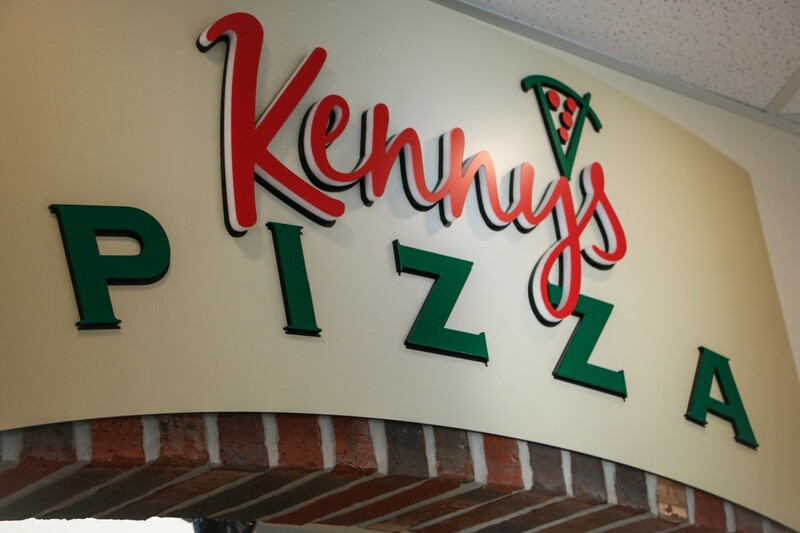 On the inside we used ½” laser cut acrylic topped with 3M vinyl to bring the Kenny’s logo to life up close and personal for their clients. 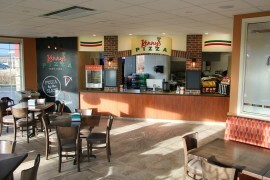 To the left of the order counter, you will find a custom latex printed wall mural offering pizza by the slice! We feel very confident in our ability to judge good pizza; without sounding boastful, we consider ourselves connisours. 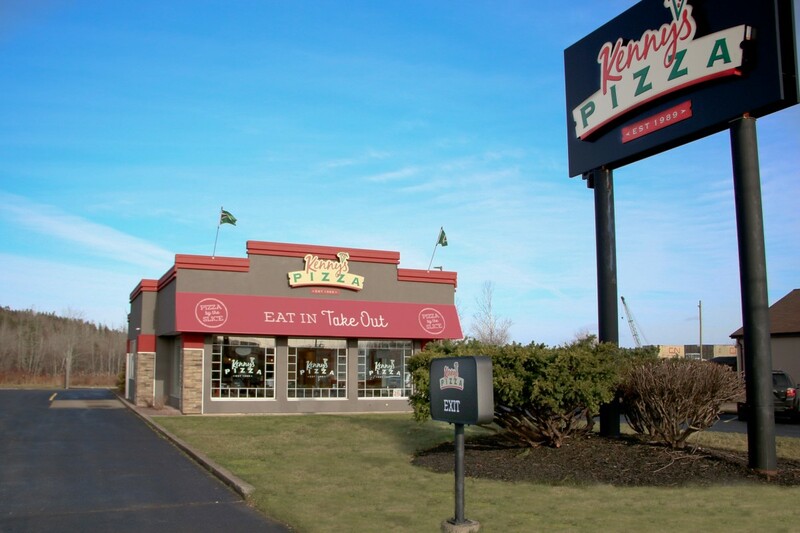 Please do yourself a favor and find one of the 11 Kenny’s locations and enjoy one (or two) their quality pies!